For God, and Life, and Ireland. The ongoing news of the rapid decline of Catholic Ireland is hard to get one’s head round. Ireland, widely considered one of the most devoutly Catholic Nations of all times – despite the persecution, opposition and consequent suffering it endured over centuries for remaining faithful to the One True Faith – has, in an amazingly short period of time, become one of the most secular. 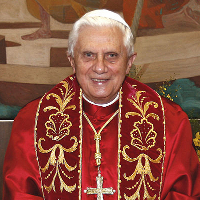 The reasons given for this growing Apostasy are varied, ranging from the liberalism that blew in after Vatican II (and strongly embraced by the young) to the blinding materialism and consumerism of the Celtic Tiger, and culminating in the grave cases of clerical abuse, and apparent covers-up, that so shocked the faithful. Father Benedict Groeschel once remarked with great regret that in all his travels throughout Europe, he never encountered such hostility (even sometimes bordering on hatred) towards the Catholic Church anywhere as that which he witnessed in Ireland. How terribly sad! Whatever the cause, or causes, of this “hostility” and demise of the Faith may be, the roots of Catholicism in Ireland go very, very deep. There are still small groups of devout traditional Catholics in Ireland fighting for a Catholic restoration. I have friends there; I know this for a fact. This article below comes from A Catholic Land. Global Irish Rosary Crusade for Ireland. Please pray for Ireland. And if you are an Irish Catholic, born in Ireland but living abroad, or if you have Irish roots and ancestry, then your Catholic Faith will have come from Ireland; through your home, through your parish, through mission, through your school. 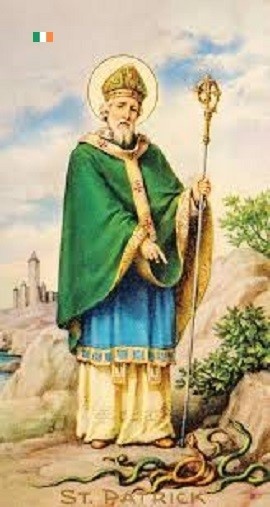 If not directly, then indirectly; the great influence of the Irish taking the Faith to far flung regions and ensuring that it was established and thrived; wanting their children to be on the path of salvation and helping many others along the way; knowing full well that the Faith that St. Patrick taught was the true Faith. Difficulties at home had never stopped the brave Irish and nor would any they encountered elsewhere. And recognized by many along the way. The words of Sr (Mother) Magdalen Taylor come to mind. An English nurse working with Irish nuns in the Crimea, and tending to the wounded Irish and helping them to write their letters home, she soon converted to the Catholic Faith. But not just to the sisters and her patients did she pay tribute, but to Ireland itself, writing: “To Ireland…To thee I owe my glorious faith..” It is one voice but to which so many throughout the world are joined. Now Ireland needs help. It is in the grip, on many levels in society, of those seeking to impose pluralism, paganism, and the sowing of indifferentism to the Faith, and with this comes the leading of people away from the path of salvation. The referendum, those calling for it having the motive of facilitating abortion, is just the latest example of it. For such facilitating is evidently against the glory of God and His ways. Join a global Irish Rosary crusade; think of your Irish forebears and their love of the Faith; and join in too if you have Irish friends, neighbours and colleagues. Add a special intention to your Rosary prayer, for example, to rid Ireland of the scourge of abortion. That Ireland maintains the Faith. For the Blessed Virgin’s help that the country be prepared properly for Her Son’s return. Perhaps there is a particular place in Ireland that’s dear to you, that you want your intention to be for. Why a referendum on abortion is not appropriate. A referendum in itself is a danger to souls. Because it is God who has Rights over a child. He has given the child a human soul, and He gives His child a role in life for His service; no one has the right to take this away. A referendum on abortion is entirely inappropriate because it is not a full human vote, humans are in the minority by far in all countries. Because the motive behind those calling for it is openly to promote and facilitate abortion. The incarnate demons will influence the outcome to suit their purposes in the shorter or longer term. And this is, as it always is, all about human souls. The referendum in itself is a great danger to human souls. With a referendum, those humans who vote in any way in favour of abortion are involving themselves in a grave sin. It is the encouragement of serious sin on a grand scale; a “day of sin” will be in place across the country. Encouragement of such sin has no place in society. No one can deny that abortion is a grave sin, and that encouraging it is a most serious sin. And this is a main part of the evil of abortion. Not only does it kill a child and in barbaric ways (the baby no matter what its age wincing away from the instruments that are dragging it away, sometimes in pieces, the baby left to die alone in a dark room or corridor, the baby who has poison injected into its heart, the baby whose brain is taken out (partial birth abortion.) The mother left with intense regrets. A father in distress at having been unable to protect his child. Those involved in this process have placed their own souls in the gravest of dangers. And very many professions are involved in the whole process. Sincere repentance is needed; a calling upon God’s great Mercy, which is upon humans. Catholics would need to lobby against the referendum; to try to prevent this “day of sin” and its repercussions for the country. And which would, at least, show a great effort has been in place to avert this. Catholics should not be afraid to tell of these things. A repentant soul upon death will thank God for your work in the most heartfelt of ways unimaginable to them in this life . For when we die, we go to judgement! There is much talk about “a personal journey” the personal journey that humans should by far be the most concerned with is the one we will make after this very short sojourn upon God’s earth. All humans should keep in mind that Our Lord God and Saviour living amongst us, suffering and dying for us and His glorious resurrection from the dead, is an historical fact; it took place in time in accordance with that foretold of in scripture. And that the fundamental basis of all Christian belief is that our Lord (our Saviour) saved us from an automatic descent into hell upon death. And all humans are called to be joined with His glorious resurrection from the dead. And, instead of a referendum, intense preparations for Our Lord’s Second Coming should be in place instead. In trying to please God we draw down graces and blessings upon ourselves and upon our families. One of the ways that stands against trying to please God is the evil of abortion. For that is what it is – pure evil. How can it be described in any other way? Abortion is not new to mankind but in this era it is being advocated for facilitation in an unprecedented way. All the talk is about rights, but it is God who has first Rights over a child; it is His Child. Our Lord God and Saviour; Jesus Christ, taught us to call God our Father, and which is an immense honour for us. Our Creator is also our Father; and that is a very good thing, for a good Father loves His Children very much. God gives to His child a human soul, and He gives His child a role in life for His service; no one has any right to take this away. Why is all of this so closely linked to Ireland and coming to a head at this time? Because Catholic Ireland was, and until recently, so strong in the Faith, and maintained so bravely even amidst the centuries of persecution. The Faith being abolished “little by little” will be very apparent in Catholic countries; a number have already succumbed, it reflects throughout society; the Rights of God and the Rights of the people to live in accordance with God’s revelation, being replaced by a pagan direction under the guise of “man’s rights.” It is the direction of great peril for humans, just like it always has been. And humans need to understand that mankind is now by far in the minority on this planet; this reflects the time that immediately precedes Our Lord’s Second Coming. And that time is NOW. 10 Responses to For God, and Life, and Ireland. You can encounter similar hostility in Spain. Both countries have seen Catholicism up close – in a way that the English and Americans haven’t. Thank you so much for that link, Sarah… (and very nice to hear from you again 🙂). 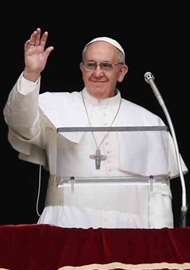 Yes, I remember hearing that the idea of gathering to celebrate the praying of the holy Rosary at Mass Rocks in Ireland was being discussed, but I hadn’t heard that a date for it had already been fixed – so I’m grateful to you for the information. I’ll pass the word around. In 2014 I published a post with a lovely engraved picture from an Irish Missal of a Mass Rock of Penal Law Ireland. I disagree with you Toad – and I know both Ireland and Spain very well. I would even go so far as to say that nowadays, in an era of growing secularism, atheists and agnostics in Spain are, for the most part, indifferent towards the Catholic Faith. Certainly there are some violent loony groups from the extreme Left (e.g., the political party called Podemos), a few radical independentist groups, and the FEMEN man-hating sluts, but most non-believers couldn’t care less any longer. That was not the case in the immediate aftermath of the Spanish Civil War; things were quite different then. Although impoverished Spain was under a dictatorship (pretty harsh at first, but growing steadily milder until General Franco’s death in 1975 when Spain became a democratic Monarchy once more) there was a bitter but subdued hatred against the Church among many in the former conquered Republican, Communist and Anarchist parties. As Spain’s economy started to explode with the growth of tourism, and materialistic comforts raised the general depression among the losers of the SCW, only the Basque terrorists (ETA) continued in their active hatred of the leaders and the Church. Ireland in general, OTOH, is swimming in the other direction and growing increasingly hostile towards the Catholic Church. The practice of the Catholic Faith has certainly waned in both Spain and Ireland, as it has in the whole of the Western world save a few heroic Catholic nations like Poland and Hungary, but the downward spiral is, tragically, greatest of all in Ireland. So very sad. When will it all end, when will all nations be tried and tested before Christ come again to save us from our battles. Ill pray to our Blessed Mother that soon enough our rescuer will come. I always envied that true conservative Irish Catholic. Yall are fighters; us Italians are prayers. We will stand tall beside you and wait for the return if our Savior. The world, uck, we are travelers, hobos, just passing thru. I suspect, Kathleen, that both you and Toad are correct – in different parts of each country, to be sure. Sometimes we forget that the opposite of love is not hate, it is indifference. In fact hate, is merely another form of love, albeit a rather nonsensical one. Hi NEO, how are you? Long time no see old friend 😉. Yes, I did mention (^) that “indifference”, rather than hatred of the Faith, is the prevalent attitude afflicting non-believers in Spain these days. Of course I wasn’t around during those years of what is known in Spain as the years of the miseria (post Civil War), but I have read much about it. 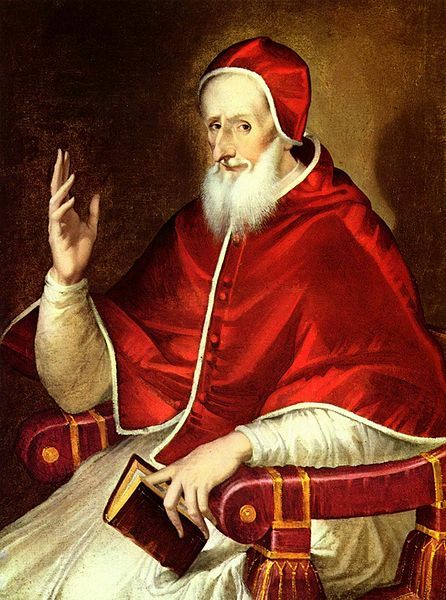 Besides, during my time here I have known many Spaniards who did live through those hard years and who found their greatest hope, joy and consolation in their Catholic Faith. It was only those who took part in the Red Terror before and during the war, persecuting Catholic clergy and destroying Catholic Churches with a venom that could only come from the devil, who resented the Church’s revival in the aftermath of the war. I’m sure those old Spanish people I once talked to would collaborate what I have written above. My paternal Irish grandparents, who both died long ago, were devout Catholics. I often wonder what they would say if they could see from Heaven what is happening today to their beloved homeland! Good point, Kathleen – re: indifference. It almost certainly does outweigh ‘hatred’ in Spain (and Ireland) these days. This is good, because hating is bad. The Bogey Man is dead. And unlamented. Nobody’s scared of him any more. And people are no longer willing to believe six impossible things before breakfast. You can listen HERE [scroll down and click into ‘Play’] to an explanation of Ireland’s sad slide away from the Faith in the first part of this programme on EWTN Radio’s ‘Celtic Connections’ with Fr Groeschel. It is called a ‘Lost interview with Fr. Benedict Groeschel’, recorded on his 70th birthday. His insights are fascinating, and confirm much of what has been said above, athough this was long before the situation in Ireland became as bad as it is today. It first aired on EWTN on 1st July, 2017.